Gorilla Lifetime lug nuts are manufactured for the highest quality. 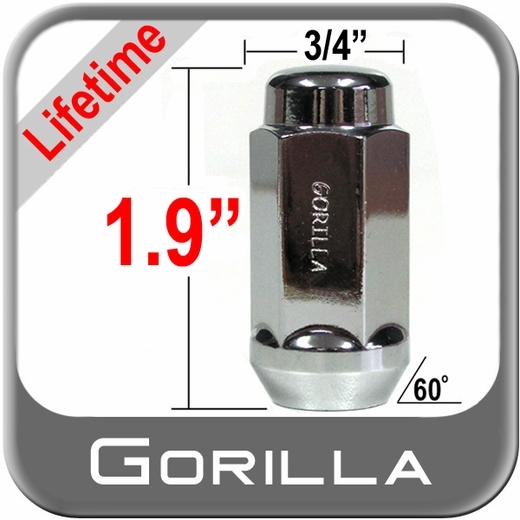 Gorilla Lifetime lug nuts are engineered to surpass OEM quality. Top off your wheels with a set of Gorilla Lifetime lug nuts. Never Rust Guaranty comes with your new set of Gorilla Lifetime lug nuts.